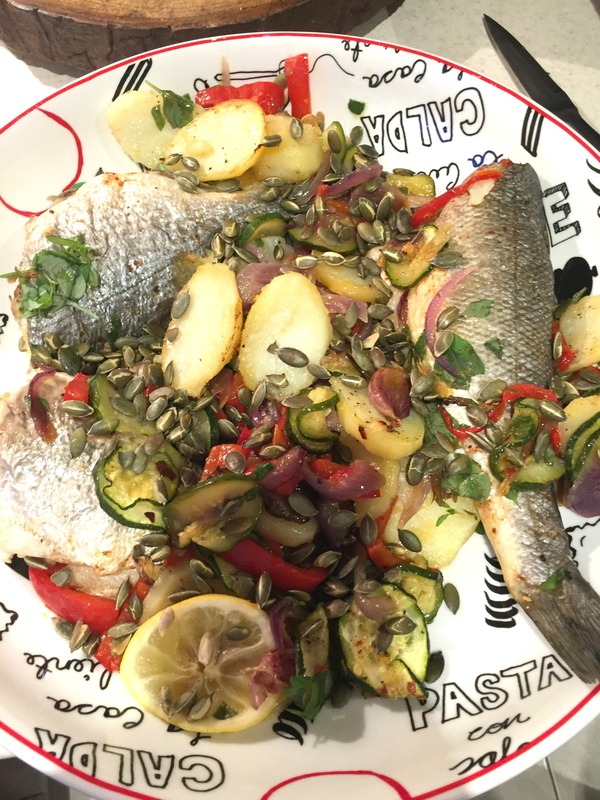 You can use various vegetables: pepper, fennel, courgettes, onions….or potatoes pre- cooked……. 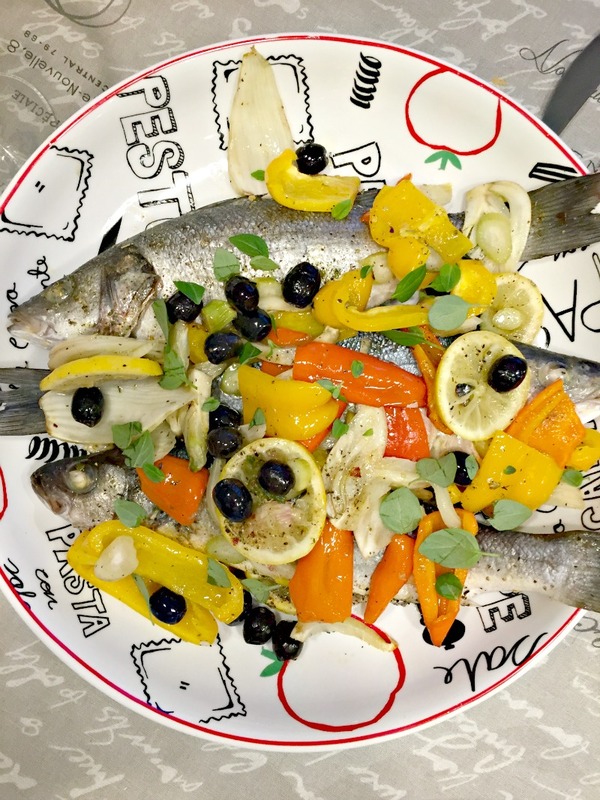 Just toss them with olive oil, add garlic, salt, pepper, chilli…….and add lemon! sliced!…… you might like to add olives or pumpkin seeds…. Put fish on the top. Sprinkle fish with salt and pepper. Bake it for 40 min. So easy, so tasteflull ….Add basil and more lemon juice.